As demand for evidence-based policymaking increases at all orders of government, Canada must build capacity to generate and mobilize evidence. This paper explores the concept of What Works Centres, independent and non-partisan organizations structured to create, collect and curate evidence on public policy challenges and the success – and failure – of government and community-based interventions. What Works Centres aim to provide the bridge between researchers, policymakers and practitioners – the convenors, translators and users of evidence. 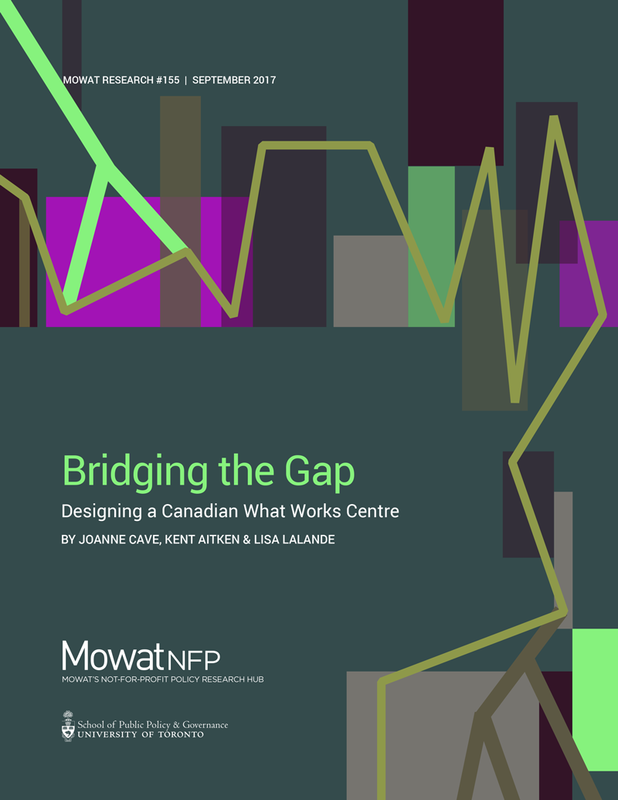 In other jurisdictions, What Works Centres have emerged as a key asset for one of government’s most pressing problems – how to make interventions more impactful and cost-effective for citizens. This paper builds on previous Mowat Centre work to provide a thorough exploration of the model in the Canadian context and to guide the decisions required to create such an organization in Canada. While evidence-based policymaking is not new, it has gained particular traction in the last decade. Governments, philanthropic funders and nonprofits, facing fiscal constraints, are under greater scrutiny about how funds are spent and what outcomes are being achieved. This has led to a growing patchwork of results reporting, performance measurement, audits and evaluations. A more comprehensive and structured approach to understanding and proving the real-world impact of policies and programs, however, has remained elusive. Without a sound evidence base to guide the policymaking process, resources can be misdirected, misused or duplicated. Accessible evidence that incorporates frontline experience can help practitioners better understand what actions are truly having an impact, decide which actions could be scaled up to more communities, and inform how funds can be directed in a more strategic way.